An admiring look at the career of William F. Buckley Jr., the conservative political commentator, activist, and public contrarian. A Man and His Presidents, deeply researched and smoothly written, is a superb political biography ... The most entertaining chapter of A Man and His Presidents is 'Demand a Recount,' the story of Buckley’s quixotic campaign for mayor of New York ... In his 82 years, concludes Mr. Felzenberg in this fresh account of a much-chronicled figure, Buckley achieved a great deal of what he set out to do, leaving behind a movement that continues to make a profound difference in our politics. ...a gracefully written and richly informative book, but it’s not a narrowly focused study of the relationships between one of the 20th century’s leading political commentators and a series of American presidents, which were not very significant ... Reading the book in light of events since Buckley’s death — including the Sarah Palin sensation of 2008, the Anybody but Romney procession during the Republican primaries of 2012, but most of all Donald Trump’s shockingly successful populist insurrection in 2016 — one realizes the passages that provide the most illumination are those in which Felzenberg highlights what Buckley himself described as his greatest achievement: purging the conservative movement of 'extremists, bigots, kooks, anti-Semites and racists' ... Felzenberg has produced an accomplished and admiring biography that paints a portrait of a man toiling joyfully to define and elevate a political movement. But the book also, perhaps unintentionally, vindicates a cluster of enduring truths taught by the wisest conservatives down through the ages — that elevated things are fragile, and that nothing lasts forever, or even as long as we may wish. Felzenberg consistently describes Buckley’s various crusades with skill and detail. 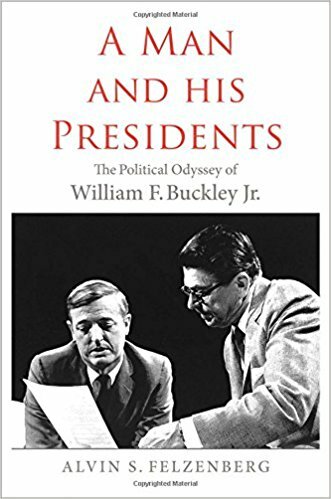 As a result, A Man and His Presidents thoroughly captures Buckley’s life and decades-long career, a comprehensive portrait of one of the towering figures of 20th-century conservatism. But the character Felzenberg depicts is also largely from a distance. When it comes to the lived experience of Buckley’s career choices or much of Buckley’s private life, A Man and His Presidents falls short ... Ultimately, what emerges from A Man and His Presidents is less the biography of one political commentator, and more the rise and fall of a movement bookended by the New Deal on the one hand and the 'compassionate conservatism' of George W. Bush on the other. What did you think of A Man and His Presidents: The Political Odyssey of William F. Buckley Jr.?